Adding us now is a great idea to help find us tomorrow. Some of your friends might ask you where you got your formatted resume for free. Word format download--click save--save it to Desktop option-- leave the file name the same. It's really easy to find on the desktop when you want to edit your example later on. I like the formatted look to all of these resume examples. They extend a look of professional quality, but do not exaggerate in any way shape or form. I think it does exactly what it is suppose to do, so someone does not have to search your resume for your skills and qualifications. You can see all of that right off the bat. If they do not find it right away, then your resume will go into the trash can and we don't want that to happen. After all, you came here for a resume that makes your resume information will stand out. I know you will find all the examples on this website useful. I also hope you get the job. Let friends know about this website, after all it's free for all of you, just find the right resume example for you that you like. 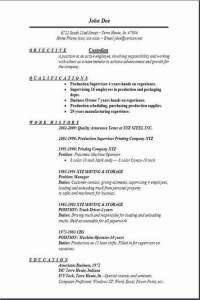 The resume above was a new addition, and I added the background effect on number 3 so you would have some type of option to stand out from all the other resumes that the hiring manager sees daily. Some companies like background effects, it makes your resume totally different and appealing for some positions that you might apply for. 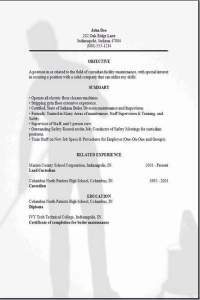 If you decide on downloading the resume with the background effect, leave me a comment when you visit the contact us page. Hearing your comments will inspire me to keep at it to come up with another new idea. Don't forget your cover letter at the link at the top of this page. Good luck.